Want to learn all about how to make the perfect tea lover’s gift basket? You’re in the right place. The Holiday season is right around the corner, and you know what that means. It’s time to think of creative, brilliant gift ideas for all of your friends and family! If you have a tea lover in your life, consider yourself lucky. Tea is inexpensive and there are lots of fun accessories you can use to make an easy and fun gift basket. Keep reading for awesome gift ideas for tea lovers that are sure to please. In fact, by the end of this article, you might just want to buy extras for yourself! Which Kinds of Teas Are the Best? So, which teas should you fill your gift baskets for tea lovers with? Here’s a guide to basic teas that anyone will love. Green tea is one of the most popular and healthy kinds of tea available. It has a light, refreshing flavor and pairs well with lemon and honey. Green tea is a staple for all tea lovers and you can include it in any tea gift basket. For something a bit more exciting, pick up a variation that’s already infused with fruit, like raspberry or peach. Another classic, black tea has a strong flavor and pairs well with milk and sugar. It’s caffeinated and makes for a great pick-me-up. Black is tea is delicious alongside teatime treats like cookies or scones. White tea is minimally processed, making for a very light, delicate, fresh drinking experience. It’s made from tea buds that haven’t yet opened, preventing full oxidation. White tea is perfect for those who prefer a more subtle flavor. Oolong tea is a Chinese tea that represents just two percent of the tea in the world. This is a great option for a tea lover who’s looking to try something new. 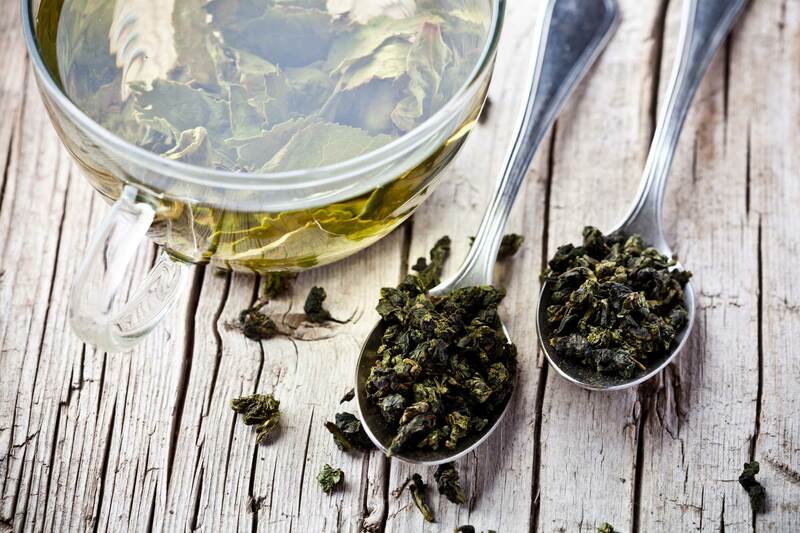 Oolong is similar to green and black tea and has a long list of health benefits, like weight loss, stress reduction, and improved oral health. It’s the perfect tea to pair with post-Holiday New Year’s resolutions! If you have a tea lover in your life who doesn’t love caffeine, herbal teas are the way to go. And when it comes to herbal options, peppermint tea is at the top of the list! It’s deliciously minty and supports healthy digestion. What’s not to love? Another herbal option is Rooibos tea. It comes from a South African bush plant and has a smooth, slightly sweet taste. It’s low in tannins, a kind of polyphenol present in tea, which means it’s not as bitter as other options. It has a beautiful reddish color and provides a lovely aromatic experience, too. Other than the tea itself, there are lots of awesome accessories you can add to your gift basket. Check out these creative options. There’s nothing more relaxing than enjoying a nice cup of tea or taking a bath. And now, you can combine these two calming pastimes with herbal bath tea kits. That’s right, you can turn your bathtub into a giant cup of tea, perfect for soaking! This accessory is one of the best tea gift basket ideas for people who already have lots of tea for drinking. Forget tea bags! Tea infusers are perfect for any true tea enthusiast. Infusers come in all sorts of creative shapes and sizes, so you can be sure that you’ll find one to suit the tea lover in your life. This is a must-buy if your gift basket includes loose leaf teas. Originating in eighteenth-century England, the tea towel is a versatile kitchen tool that can also be super cute. Tea towels come in endless prints and patterns, or, if you’re feeling extra creative, you could even design your own. Want some long-lasting tea basket ideas? Try subscriptions! In your gift basket, include a certificate to a monthly tea subscription. With this subscription, the recipient will get a different kind of tea or teas in the mail every month. So, you have the tea. And you have the tea accessories. Now, how do you assemble the perfect gift basket? Here are some simple step-by-step instructions to help you from start to finish. First thing’s first- it’s time to find a basket. Wicker or rattan are great for gift baskets and are easy to come by. Once you have one, line it with the patterned cloth of your choice. Use shredded paper to create a cushion for your items and to fill out the basket. Not only will it look nice, but it will also prevent damage to delicate items. Look at the presents for tea lovers you have. Which items look nice when placed together? Organize them according to color, shape, and size. Place the tea and accessories in the basket, placing complimentary items together. If two items function as a pair, tie them together with a bit of ribbon. We’re not done yet! To finish off the truly perfect tea lover’s gift basket, you’ll need some extra treats. If there are any empty spaces in your basket, fill them with cookies, jams, biscotti, nuts, or dried fruit. Add a beautiful ribbon or stick-on bow to the front or handle of your basket, and you’re good to go. Enjoy the incredible feeling of giving someone a truly great gift. And with a homemade tea lover’s gift basket, you can’t go wrong. For the ultimate basket, make sure to include an assortment of teas that you know suit the recipient’s tastes. Assemble the basket yourself, adding extra decorative flourishes and tasty treats wherever possible. And don’t forget to include some fun accessories, too. To learn more about all things tea-related, check out our news and articles page. It’s a tea-lovers paradise!